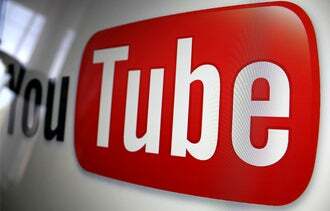 Google's video publishing powerhouse YouTube recently unveiled a major upgrade to its video analytics predecessor YouTube Insight. The new system, YouTube Analytics, features a much-improved dashboard that's easy to navigate and understand. Detailed viewer data: Among the new features is the ability to split off viewer data from engagement data and drill into each of these categories to generate insights into viewer "Likes" and "Dislikes" across all videos in your channel. In addition to providing viewer stats, demographics and abandonment rates, the new program comes with data on how users are accessing content and which channels deliver the most engaged viewers. It also offers a host of engagement metrics that can help video owners understand the social side of their viewer data -- specifically, what viewers think about each of the videos in your channel. This can help you decide which videos to promote, which new videos to create and what content to scrap. Audience retention reports: For each video in your channel, you're now able to see exactly where viewers start to lose interest in your videos. With this information, you can learn more about the attention span of your audience, as well as what specific types of content they prefer. 1. Take a look at your Top 10 Videos, as displayed in the new Youtube Analytics dashboard. Do you notice any trends throughout these videos? Do they cover similar topics or run about the same length? Extrapolating from this information should give you a good idea of what type of video to launch next. 2. Next, look at your top Traffic Sources. Which sites send you the most visitors? Can you use the other tools within the Youtube Analytics dashboard to learn more about the visitors from each source? Even if you have one source that sends the bulk of your traffic, keep an eye out for other sources that send highly engaged visitors and beef up your promotional efforts on these sites. 3. Finally, look at your Audience Retention reports. How long, on average, are viewers sticking around during and after your videos? If they aren't making it through your content or seem to lose interest quickly, get a handle on what they're looking for to provide future video content that's more engaging. Which statistics do you find most useful for understanding video traffic and engagement? Leave a comment below and let us know.